Rollover collisions consist of 3% of all automobile accidents, yet they contribute to about 30% of all fatalities occurring among occupants of vehicle involved in a rollover accident. In rollover crashes, vehicle occupants almost always sustain severe injuries, and the rate of fatality in rollover accidents is also higher than other types of accidents. Generally, the bigger the vehicle, the higher extent of damage occurs to life and property. In the past few years, there has been a significant rise in the number of SUV’s plying the roads. Despite increased safety technology in these SUV’s, about 60% of rollover collisions involve SUV’s. Bad judgement on the part of a driver if they jerk the steering in the opposite direction of the moving car. Vehicles with an overloaded luggage rack overhead that can cause the center of gravity of the car to shift. Of all these factors, reckless driving, speeding, impaired driving, judgement and overloaded vehicles are most commonly found. Passengers in a rollover collision vehicle can sustain injuries ranging from minor to severe, and the rate of fatality is high too. One important factor that determines the extent of injuries in a rollover accident is the use of seat belts. Those restrained by a seat belt may still suffer head trauma and internal bleeding; however the extent of the injuries could be lesser. Unrestrained passengers however, are at the highest risk. They can get ejected from their seat and suffer heavy injuries as they hit the base of the car or tumble within as the vehicle rolls over. They are likely to suffer debilitating spinal injuries, broken bones and severe head trauma. 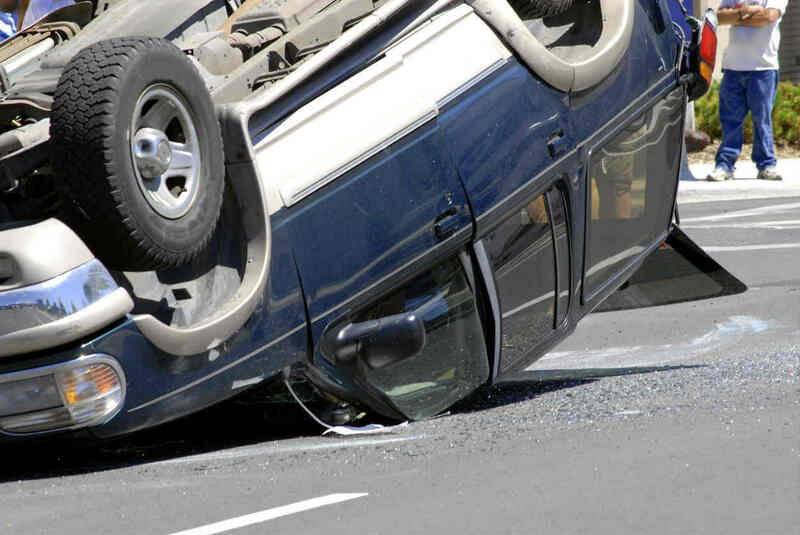 A rollover accident can lead to debilitating injuries and fatalities. It can alter the course of the victim’s life by causing extensive physical and financial damage. The overall cost of treatment and damage repair can be exorbitant, and to make matters worse, the victim may be left disabled to work or perform daily activities. If the accident has been caused due to another person’s negligence, the injured victim may be entitled to compensation for damages and injuries.